Pregnancy, weight fluctuations, and aging can leave you with loose, sagging skin or excess fat in your abdominal area that is impossible to get rid of even with diet and exercise. 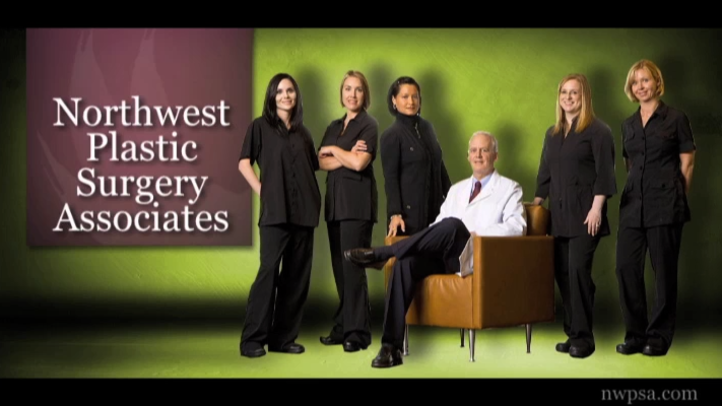 The Northwest Plastic Surgery Associates, PLLC, team in Missoula, MT, can help you achieve a flatter, tighter abdominal area with a tummy tuck—the most effective way to get rid of loose skin and extra fat. How can a tummy tuck change my life? A tummy tuck is a body contouring procedure that specifically focuses on the waist and stomach. By removing excess fat and skin, abdominoplasty can help you achieve a smoother, firmer midsection. Although it takes several weeks to fully recover, plastic surgery is the most effective way to experience dramatic results. Some swelling is expected immediately afterward, but your abdominal area will be noticeably flatter right away. Understand that as you age, your skin will still be prone to some degree of sagging. But you can help maintain the results of your plastic surgery procedure for years to come by eating well and exercising regularly. Do many other patients opt for tummy tucks? A tummy tuck at our Missoula cosmetic surgery practice is a procedure to remove excess skin and fat around the abdomen. A tummy tuck, also known as abdominoplasty, is ideal for patients who have sagging skin around the abdomen that has been caused by multiple pregnancies or massive weight loss. A tummy tuck can create a smoother and firmer abdominal profile, but the procedure is not a substitute for weight loss. Stubborn fat or excess skin can be frustrating, especially if you have recently achieved significant weight loss or given birth. The team at Northwest Plastic Surgery Associates in Missoula, MT, understands the effect this can have on your confidence and seeks to provide considerate care and effective surgical solutions. Dr. Stephen Hardy can perform a tummy tuck, or abdominoplasty, for individuals seeking a slimmer midsection or tighter abdominal skin. With years of training and experience performing this procedure, we are confident that we can help you achieve your goals. New mothers may also tailor these procedures into a mommy makeover to restore their post-pregnancy appearance. Dr. Hardy can work with you to establish a treatment plan that can provide you with the results you desire. A tummy tuck may not be the best solution for everyone. It is important that if you are considering an abdominoplasty, you are prepared to maintain a healthy diet and exercise regimen and do not plan to have any more children. This is crucial to long-lasting results as significant weight fluctuation will compromise the effects of the procedure. Prior to beginning your procedure, you will be provided with anesthesia for your safety as your muscles should be completely relaxed. During the surgery, Dr. Hardy will make a horizontal incision a few inches below the navel that extends from hip to hip. However, he will use his advanced surgical skills to ensure that scarring is as minimal as possible and is easily hidden. By removing excess fat and skin, abdominoplasty can help you achieve a smoother, firmer midsection. The doctor will then remove excess skin, tighten weakened abdominal muscles, and extract unwanted fat. Depending on the extent of your tummy tuck, he may also move the belly button for the most flattering results. Finally, the skin will be sutured closed and a surgical drain may be put in place. The entire procedure typically takes about three hours to complete. Emptying your drainage tube approximately two to three times per day. Changing bandages throughout the day as needed to ensure hygienic conditions. Drinking eight to 16 glasses of water per day. Ceasing showering for two to three days or as instructed. Avoiding smoking or using tobacco products for at least two weeks. Our team will provide you with full post-operative instructions and answer any questions to ensure that you are set up for success.